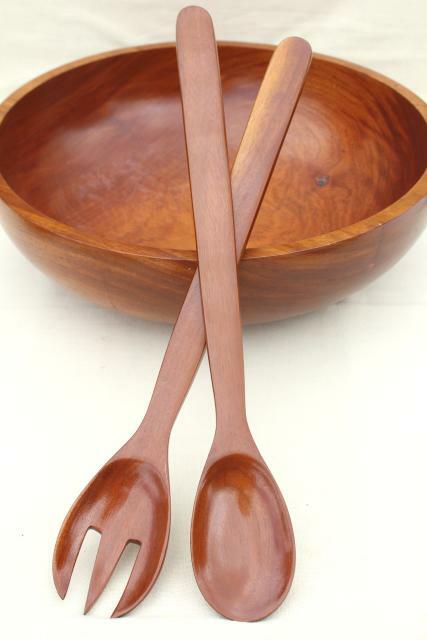 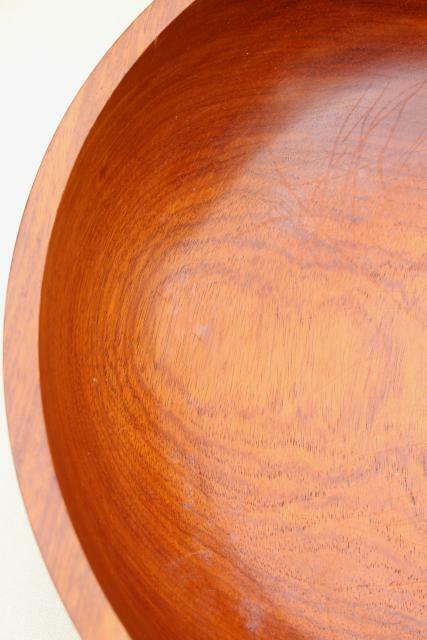 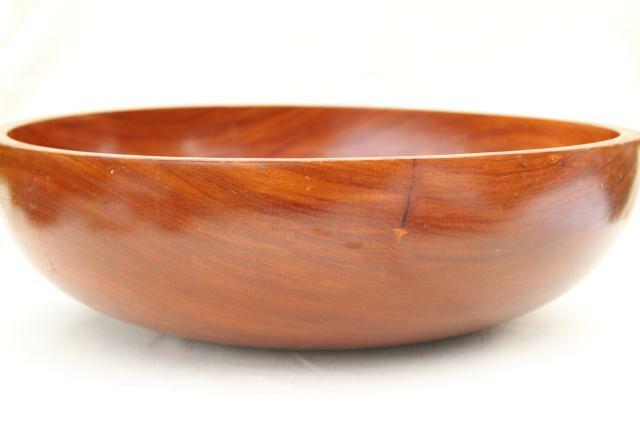 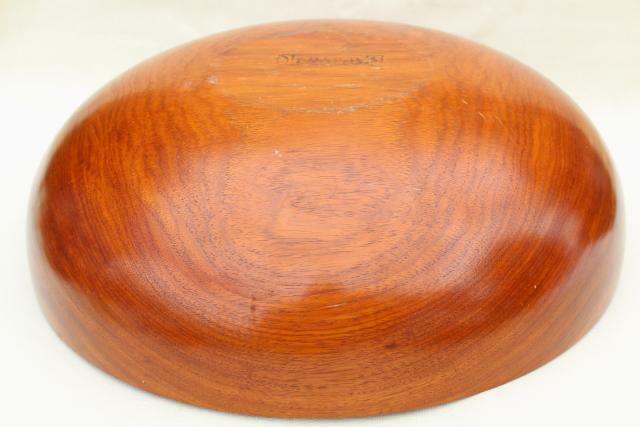 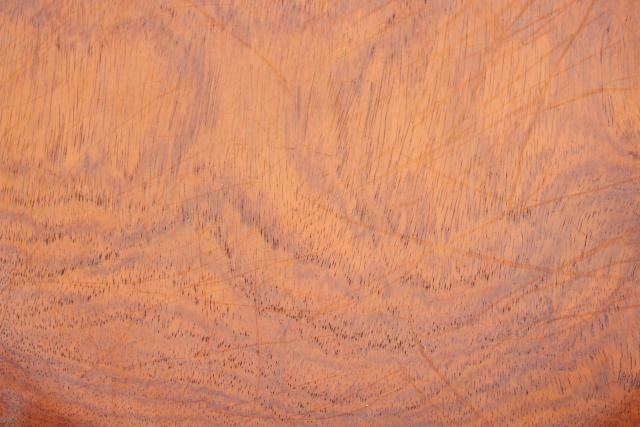 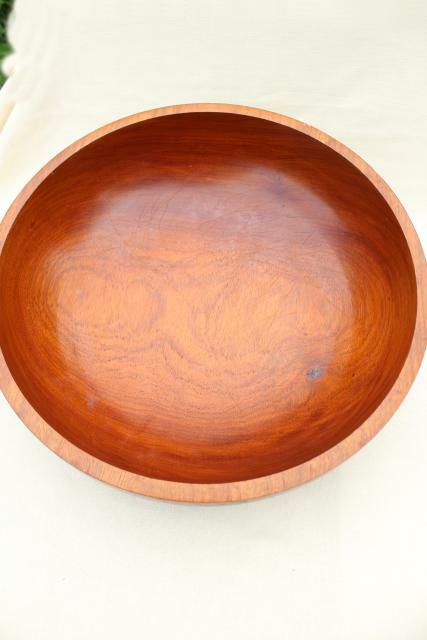 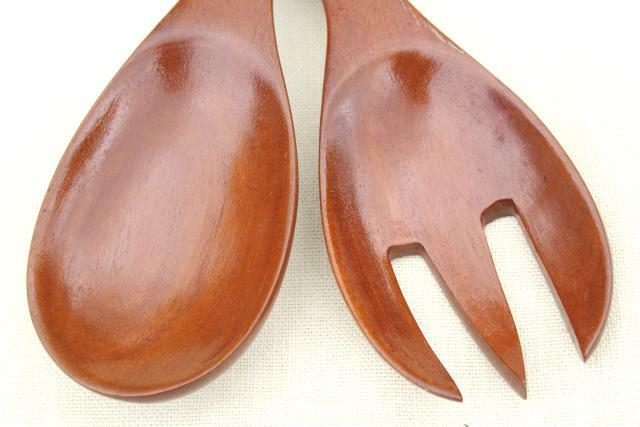 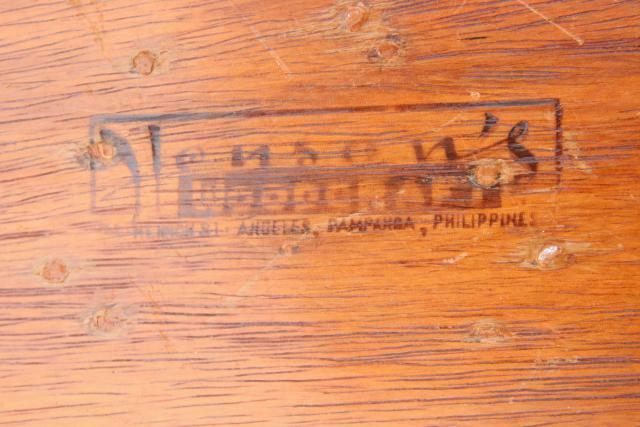 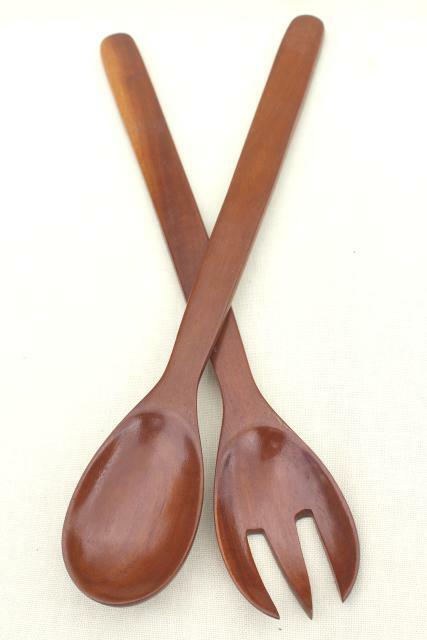 Mod vintage Philippines made wood salad set made for Henson's Woodcraft, 1950s or 60s. 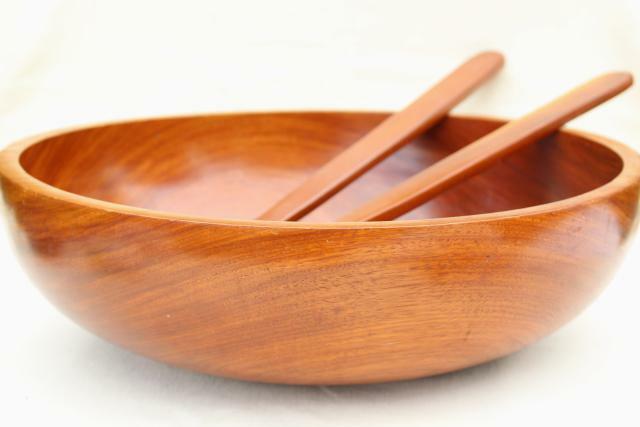 The bowl is huge (5" deep, 16" in diameter overall) and has a oversized spoon and spork to match! 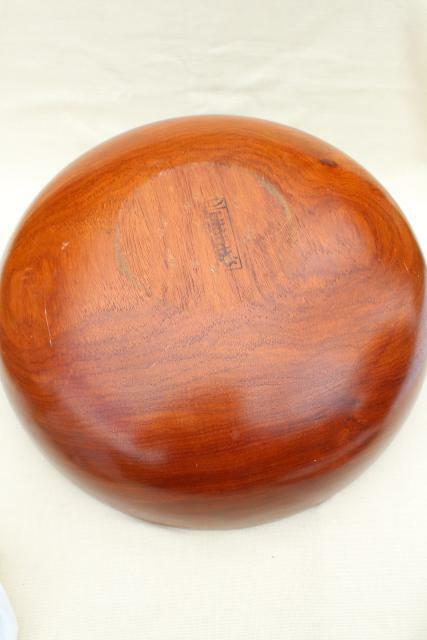 This is a good, gently used set, nice and clean, just a little light scratching and scuffing.